Frank Nesci Homes has built its reputation on stunning, quality homes. For 40 years we have been proud to build a better lifestyle for South Australians. In a Frank Nesci Home you can start your home ownership dream, raise a family, retire in comfort or build an investment portfolio. From humble beginnings in the heart of South Australia’s wine and fruit-growing Riverland, we have relocated to Gawler. This has brought an award-winning regional builder to Adelaide’s northern suburbs, Gawler, Barossa Valley and beyond. As second-generation builders our reputation is the foundation of our success. Quality craftsmanship, outstanding contemporary designs and dedicated professionalism are the cornerstones of Frank Nesci Homes. From the first pencil sketch through the final hand over of keys on completion, we are there to guide you. We select first-grade materials and engage experienced tradespeople to guarantee a quality home designed to span many generations. Just as importantly we listen. Our friendly, experienced staff will work with your ideas, your needs and your budget to create a home that’s right for you. A Frank Nesci home melds outstanding design with functionality and style – perfect for relaxed, modern living. Frank Nesci Homes has grown from a small, single builder to an award-winning company offering market-leading design, construction and management techniques. A proud South Australian home builder, based in Gawler, we are committed to continuing the tradition of quality, affordability and excellence that have become the hallmarks of our success. We understand that sometimes big dreams have small beginnings. Our story started when bricklayer (turned concreter, tiler and plasterer) Frank Nesci began building his own homes in the late 1970s. The son of hardworking Italian immigrants, Frank made the most of the opportunities provided by his adopted country. Following in his father’s footsteps he entered the building trade and tried his hand at various crafts. What followed was testimony to his hard work, determination and entrepreneurial spirit. 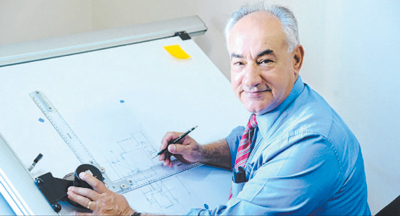 In 1983 Frank became the the first building contractor to win a HIA Country home builder award for one of his homes in Berri. 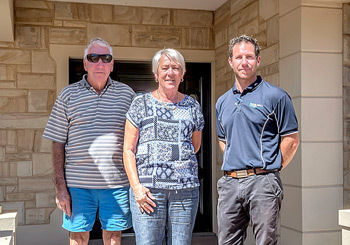 Frank’s commitment to quality and outstanding customer service was unsurpassed and by the 1990s Frank Nesci Homes offered one of the largest and most comprehensive building services in the Riverland. Today our business has entered its second generation. 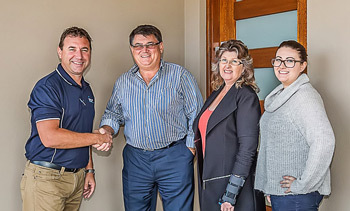 Since 2010 we have grown and moved to a new office in Gawler and sons Jamie and Jeremy and daughter Alicia have proudly taken custody of this South Australian success story. While Frank and Alison Nesci remain directors of Frank Nesci Homes, they have welcomed sons Jamie and Jeremy and daughter Alicia into the company. This has freed them to enjoy other pursuits, notably ballroom dancing and Frank’s other passion – a cherished ’86 Ferrari! Eldest son Jamie Nesci learnt the building trade from the ground up before becoming a registered building works supervisor in 1999 and achieving a builders’ trade licence in 2004. As company manager, Jamie overseas sales, contracts, pricing, plan design, construction supervision and the final hand over of keys. Jeremy Nesci entered the industry as a carpenter and worked in other trades to gain the diverse experience and expertise needed to qualify as a leading hand and, in 2008, a registered building supervisor. Based in Gawler, Jeremy works as a site supervisor, customer service representative and job estimator. Alicia Nesci has worked in the office since 2002 together with Julie Rullo who joined us in 2013. The same ethos for hardwork and uncompromising quality which founded the company has been carried into the next generation at Frank Nesci Homes. 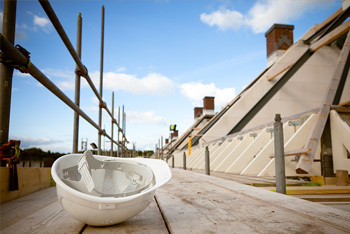 We believe we are only as good as the last home we build. That is why we have set ourselves the standard of exceeding customer expectations with every single new home. When you choose to build with Frank Nesci Homes you are engaging builders who are committed to making the journey enjoyable and rewarding. To us it doesn’t matter whether we’re building a moderately-priced house or a mansion – we value each client and give every building project the same scrupulous attention that has become our benchmark. That’s why the only real award we aspire to is a satisfied client – with every home we build, no matter how big or small.